Confucius Institutes and Confucius Classrooms are by the Chinese government’s own admission part of its overseas propaganda set-up. 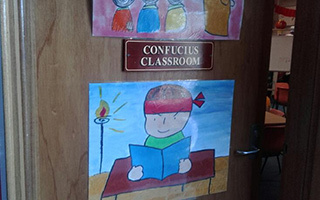 Funded and controlled by the Chinese government, Confucius Institutes are embedded in our universities and Confucius Classrooms in our public schools. Under the disguise of teaching Chinese language and culture, they are used as propaganda outlets and pose a threat to the integrity and academic freedom of our universities and schools. According to Hanban, the agency under China’s education ministry that oversees these programs, there were 548 Confucius Institutes and 1,193 Confucius Classrooms in 147 countries at the end of 2018. 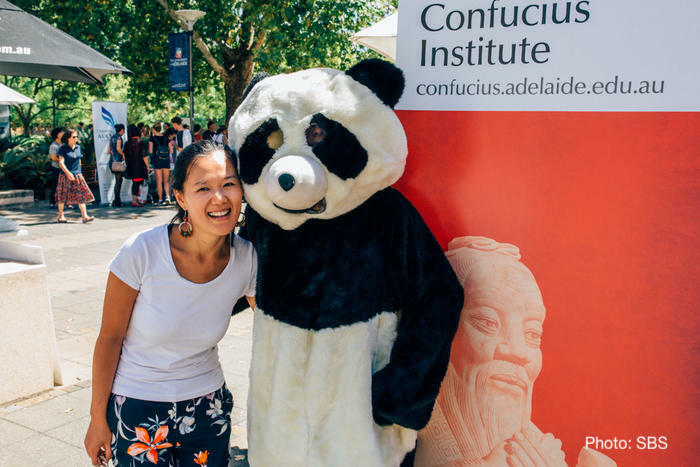 In Australia, there are 14 Confucius Institutes and 67 Confucius Classrooms. Pressure has been mounting on the educational institutions hosting these Chinese language programs to terminate their controversial partnerships with China as evidence of propaganda and censorship has grown in recent years. In February 2019, a US Senate sub-committee report noted that these programs have acted as tightly controlled propaganda arms for Beijing and that they should be changed or shut down. Canada’s McMaster University was the first university reported by the media to close a Confucius Institute in 2013. Since then, more than 30 educational institutions in the US and Europe have cut ties with the Confucius Institutes. In 2019, it is time for Australian universities and schools to say no to Chinese propaganda and ensure that young minds are allowed to think independently. With Australia’s new law countering foreign interference taking effect in March, this year, we are renewing our campaign to push universities and schools to close the Chinese government-controlled programs. Why do we have a problem with Confucius Institutes and Confucius Classrooms? We do not have a problem with teaching Chinese language and culture as long as this teaching is free from interference from a foreign, repressive government like China. We have witnessed how these programs have attempted to spread a distorted view of China, control the discourse and silence discussions on Tibet, Taiwan, Falun Gong, the Tiananmen Square massacre and other uncomfortable truths. 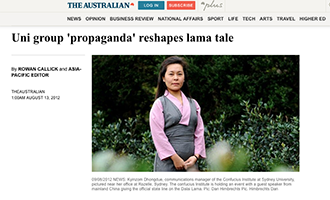 China’s propaganda programs are not only a threat to the Tibet movement, but also to the integrity of Australia’s public education. 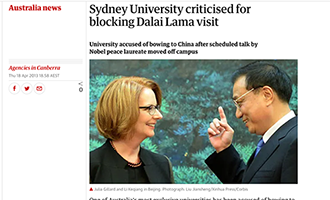 In 2013, a planned lecture by the Dalai Lama at the University of Sydney was cancelled after the head of the Confucius Institute entered into discussions with the university management and the organisers of the talk. The organisers were pressured to bring back the event after a vigorous joint campaign by a university student who supports the Tibet issue, allies on the university campus, and Tibet Support Groups including ATC, but on the condition that the event was to be held off campus. In 2012, again at the University of Sydney, the Confucius Institute organised a lecture on Tibet and the Dalai Lama. The talk was presented by a Chinese ‘Tibetologist’, known for claiming that Tibet was always part of China. ATC called it a propaganda event where the Tibetan perspective was not heard. 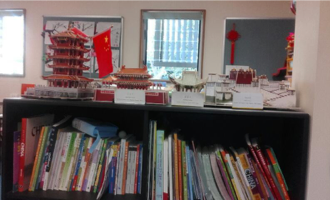 In 2018, ATC got hold of this photo, taken at a Confucius Classroom at a Sydney primary school. The picture shows a replica of the Potala Palace in Tibet’s capital Lhasa, the winter palace of the Dalai Lama and headquarters of the Tibetan government before China’s invasion in 1950, along with those of historical monuments in Beijing. What do the young children at the school learn on Tibet, when the curriculum is controlled and supervised by the authorities in Beijing? 1) In 2018, our campaign called on the NSW Department of Education to shut down its Confucius Institute. Under the auspices of this institute, Confucius Classrooms are operating in 13 public schools across the state. By being the only government department to host a Confucius Institute, the NSW government risks being complicit in the propaganda efforts of a repressive foreign government and undermining cherished Australian values of academic freedom and freedom of expression. The department has been undertaking a review of this program following concerns shared by groups such as ATC. We are waiting for the outcome of this review. 2) In 2019, we are launching new campaigns targeting universities which host the 13 other Confucius Institutes. How can you join the campaign? If you are a student, academic or parent and your university or school* has a Confucius Institute or Confucius Classroom, we need your help. Contact us to express your interest in the campaign. * We are currently focusing on NSW schools. We are calling on the NSW Government to shut down its Confucius Institute and Confucius Classrooms. 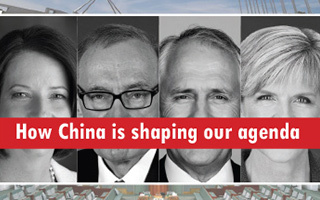 To what extent is the Chinese Communist Party attempting to shape the Australian agenda? To what extent has the Australian Government capitulated?